Delaware has become a haven for craft brewers and connoisseurs as it is home to many specialty breweries. Many of the breweries we’ve identified use a variety of techniques, some that have been proven with time and others that are new and modern, as well as a number of high-quality ingredients. 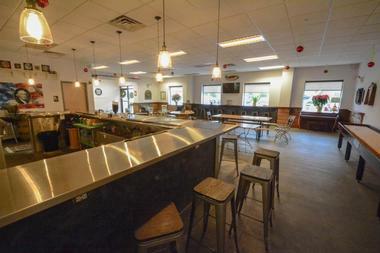 Many of the breweries have their own taproom or tasting room where you can pair your beer with a delicious meal. The Crooked Hammock Brewery came to be as one man looked for a way to shed his suit and tie for a more relaxed lifestyle of sipping a delicious beer while rocking on his hammock. You can book a brew tour to see the inner workings of this amazing place; each tour includes four samples, a full pint of beer, a Crooked Brew mug, and a branded beer koozie. Their brews are always changing and always different, but many of their year-rounds include the Wai Ola California common, Shoobie Belgian blonde ale, and the American Backyard Brown Ale. Their restaurant is a great place to enjoy their beers accompanied with delicious foods that pair perfectly. The Fordham & Dominion Brewing Company is a collaboration between two separate entities with a long and colorful history in the Craft Beer Revolution; they consolidated their operations in 2009 to continue providing their patrons with unique handcrafted beer. 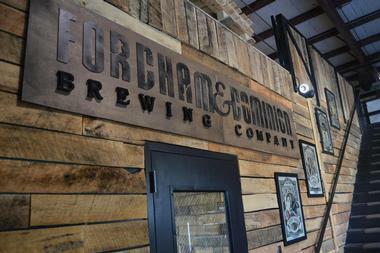 Brewing and bottling right in the heart of Dover, the Fordham and Dominion Brewing Company currently has eight trademark beers including the Oak Barrel Stout, Double D Double IPA, Grapefruit Pale Ale, and their Cherry Blossom Lager. Be sure to go on a brewery tour while you’re there so you get an idea of their marvelous inner workings. The 16 Mile Brewing Company has been around for generations and was a place where farmers, merchants, and politicians went to have meaningful conversations and make big decisions. Today, the brewery and tasting room has held on to the brewery’s old traditions and values while implementing more contemporary ideas into their brews. You can explore the brewery with their fun tours, which end with four free taster samples. Ales on tap year-round are the Able Sun red ale, Blues’ golden ale, Responders blonde ale, Tiller brown ale, and Inlet Indian pale ale. There are various seasonal and specialty brews as well. © 3rd Wave Brewing Co. 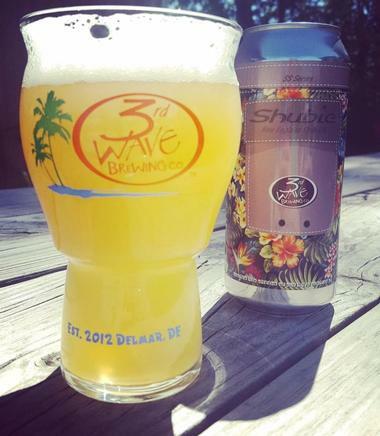 Established in 2012, the 3rd Wave Brewing Company is a microbrewery that concocts some of the best brews on the Eastern Shore. It is housed in an old IDA grocery store that was also, at one point, home to the Evolution Brewing Company. The small yet mighty brewery produces five house beers throughout the year, as well as a number of specialty and seasonal beers. 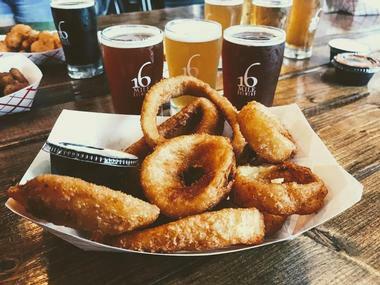 A visit to their taproom will ensure that at least 14 different brews are available on tap at any given time, and though food isn’t served from their kitchen, many local area food trucks rotate there. 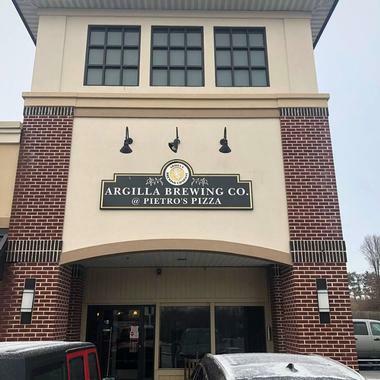 Argilla Brewing Co. at Pietro’s Pizza is a brewpub and pizzeria that makes the perfect spot to unwind and throw back a few after a long day. The pizzeria started as a small take-out place in 1978, and though they’d dabbled in handcrafted beer for years prior, the brewery wasn’t added on till the early 2000s. In addition to tasting several guest beers on tap, visitors will also be able to try Argilla concoctions such as the Sun Kissed Sangria Gose, Sin City American Stout, the Jealous Sky Belgian Golden Ale, and their Cafe Mole Sweet Stout. The Bellefonte Brewing Company is a nanobrewery with sixteen regular production beers and several other specialty and seasonal brews. Head to their taproom to try out the refreshing drinks, which are constantly rotating so you can indulge in their many unique flavors. Regular patrons have many favorites including the Cinco De Mia Bock, the Brandywine Zoo Brew, the old-school-style Fox Pointe Rye IPA, and one of their flagships, the Orange Street Ale. Make sure you don’t leave the taproom without some fun brand merchandise from the Bellefonte shop such as t-shirts, hoodies, and trucker hats. The Big Oyster Brewery is a Delaware favorite that has an extensive lunch and dinner menu to accompany their sixteen beers on tap. Additionally, there is a full bar, wine list, and 4-packs-to-go, crowlers, and growlers. No matter what your palate craves, their brews are sure to hit the spot. Chocolate and coffee lovers head straight for the Big Oyster Stout, while residents love the Cape Kolsch light lager, which is brewed with locally grown malt. Ask your experienced server about what beer and food combinations to pair together for an amazing meal experience. 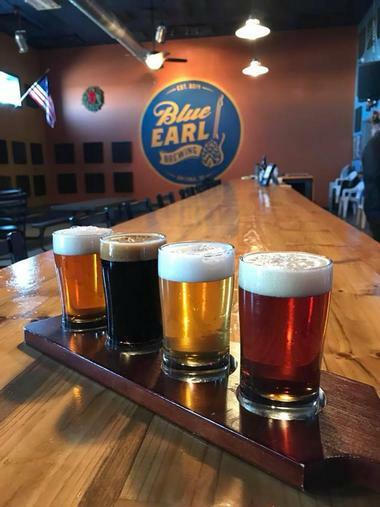 Located in the historic town of Smyrna, the Blue Earl Brewing Company is Delaware’s 7th microbrewery. 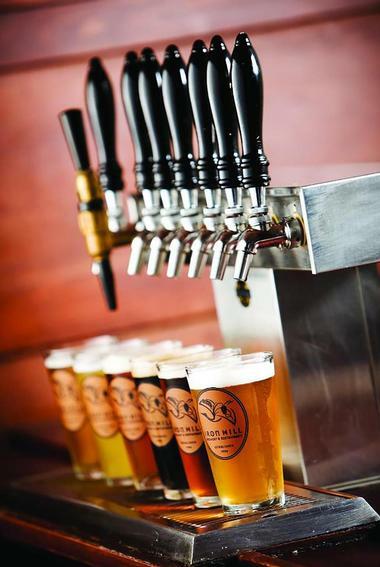 Their extra special beer offerings are the brainchild of brewery founder Ronnie Earl Price, whose passions include exceptional craft beer, gourmet food, and great music. He spent years tweaking his recipes so he could concoct the perfect brew, winning the taste buds of family and friends as well as many awards along the way. 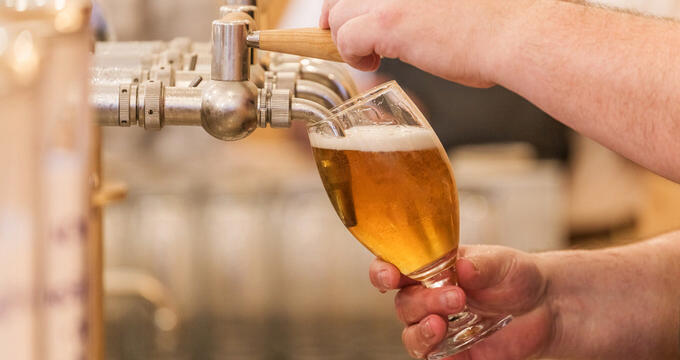 A visit to Blue Early means that you’ll be able to try their varying production of Hoppy American Ales, German Ales and Lagers, Belgian Specialties, and many other seasonal offerings. 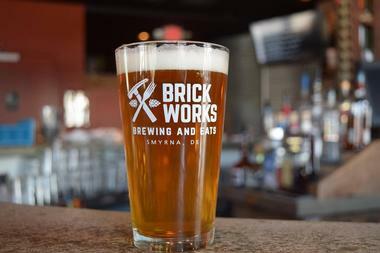 Focused on both high-quality beers and foods, Brick Works Brewing and Eats creates delicious beers and plates that pair perfectly together. The company is proud to use locally-sourced ingredients for both their cooking as well as brewing. 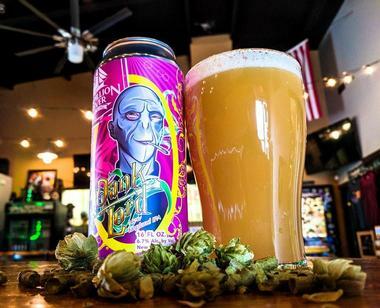 They were established in 2016, and though it’s a newer addition to Delaware’s brewery scene, it quickly gained popularity as being one of its best. There are at least ten brews rotating on tap; be sure to try favorites such as the Black Denaliah Double IPA, the Princess Peach Pie Ale, and the Citrus Mistress American Wheat Pale Ale. Their made-from-scratch entrees such as the Shrimp and Gnocchi or the Eggplant Parmesan are crowd pleasers for sure. 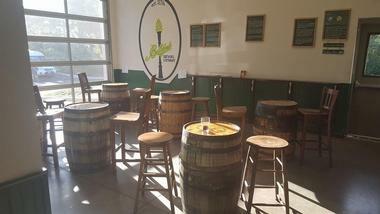 The Dew Point Brewing Company is Delaware’s only family-owned and operated microbrewery. Visit their taproom to try their signature Black Powder and their Richenweizen. 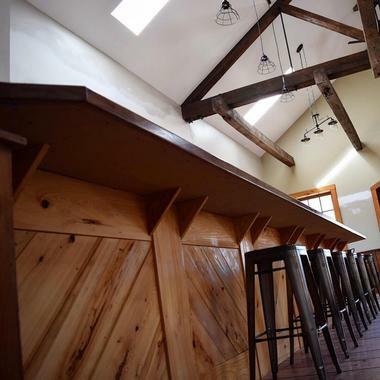 The tasting room is located directly above the brew house and is a relaxed, friendly place for great conversations and watching games. For a more serene experience, grab your pint and head out to their private green space to enjoy the fresh air as you drink. Though the tasting room does not sell any foods, you are more than welcome to bring your own picnic baskets or to purchase delicious treats from the rotating array of food trucks that visit there on Fridays. Delicious foods, refreshing beers, and a lively atmosphere is what you will find during a trip to Delaware’s Dewey Beer Company. The beer is at its freshest, and they pride themselves on serving it from their seven-barrel brewing system to your glass in less than thirty feet. There is nothing better to pair their beers with than delicious concoctions made in their kitchen using traditional local recipes and fresh, locally-sourced ingredients whenever possible. 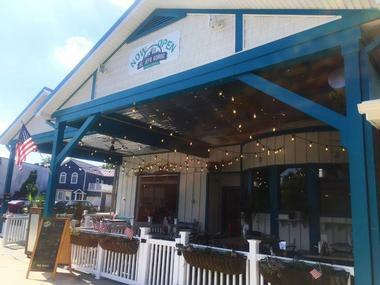 Their menu changes daily but be sure to try their mouth-watering shrimp steamed in Old Bay and their House IPA, or a succulent burger accompanied by a refreshing brew. 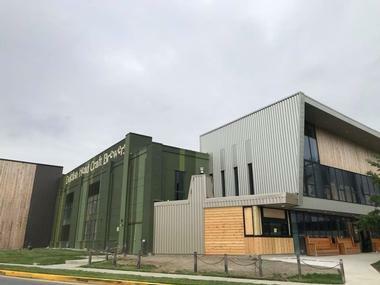 Dogfish Head Craft Brewery has been around since 1995 and is driven by people who are passionate about brewing unique beer and pairing it with a hearty meal. There are many different brews released annually, ensuring at least twenty-seven rotating taps in their tasting room. Popular choices include the SeaQuench Ale, Pennsylvania Tuxedo, Namaste White, and the Liquid Truth Serum IPA. There is a free, daily Quick Sip tour to get a small glimpse of the magic that happens, or you can opt for a more in-depth tour to really get an understanding of their processes and methodologies. There’s no better way to try local craft beer in Delaware than at Iron Hill Brewery and Restaurant, where the beer is brewed less than ten feet from your table. They are the most award-winning brewery in the east of the Mississippi, and rightly so as they use simple ingredients like water, grain, hops, and yeast to make their delicious brews. The magic is in the details as they choose grains dependent on beer style and specifically adjust their carbonation levels. They have many locations throughout the nation and three specifically in Delaware. 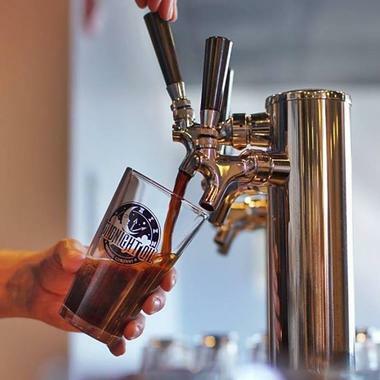 The Midnight Oil Brewing Company focuses on creating beers that their patrons look forward to after a hard day’s work, or after burning the midnight oil as they say. They have six mainstay brands that you should try while you’re there: the Dull Boy IPA, the Hop Envy IPA, Sundown Saison, Midnight Porter, Insomnia Stout, and XII. There are many seasonals as well that are brewed with flavors and ingredients available at the time; their Luna, which is a chocolate stout brewed with strawberries, is delicious and perfect for those who prefer something a little sweeter. Mispillion River Brewing came into being after the midlife crisis on of Eric Williams. He, along with his assembled team of partners, eventually opened the brewery two years later in 2013. Mispillion uses the highest quality of yeast, barley, hops, and water to produce one of the state’s finest beers. Their variety offers something for all types of beer drinkers and their passion and dedication can be tasted in every sip. Within their tasting room tap list, you’ll be able to try a rotating array of brews, from their dry hopped sour Bowcaster to their peach IPA, Peach Today Satan. 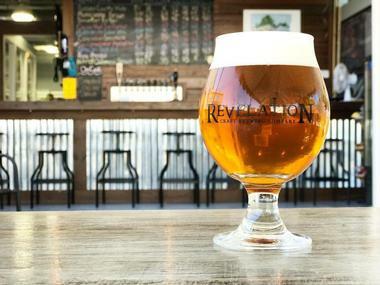 Every brew concocted at Revelation Craft Brewing is made with their belief in having a solid core. Boundaries are limitless at RCB and they are constantly challenging themselves and fine tuning their process to create quality drinks. Your visit to their tasting room will be a one-of-a-kind experience, and it’ll give you an opportunity to discover what they are creating at the moment. 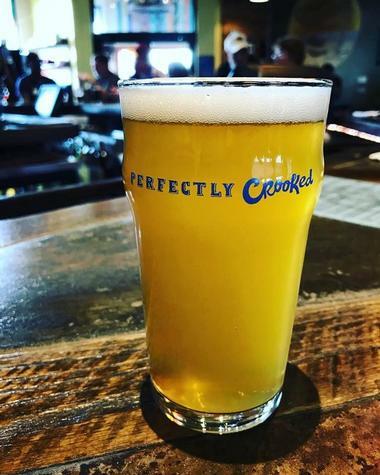 Beers that are currently on tap vary season to season, but favorites that patrons swear by are the Sussex County Mule blonde ale, the Mother-In Law IPA, and their Tangerine Cream Dream, which is a juicy and tangy sour dry hop conditioned with tangerines. For over twenty years the Stewarts Brewing Company has been fine-tuning their craft so that they can provide the best handcrafted beer to their patrons. Their full-service restaurant and brewery a famed spot in New Castle County so be sure to stop by for lunch or dinner. You can pair their delicious beers with fresh foods that will ensure you come back time and again. Participate in fun trivia while sipping on their award-winning English-style ales, American-style ales, Belgian-style ales, and German-style ales. You’ll be sure to have something different each time as well, as they produce nearly forty different styles annually. © Twin Lakes Brewing Co. The Twin Lakes Brewing Company is an American artisanal brewery that was started by a group of friends who had a growing passion for high-quality craft brewing, its processes, and the final outcome. They use only the best ingredients such as fine grains, aquifer well-water, cultured yeast, and 100% whole-flower hops to create their drinks. Their traditional, natural brewery methods ensure that their patrons get a truly delicious craft beer experience. There are four year-round brands include the Tweeds Tavern Stout, Greenville Pale Ale, Blue Water Pilsner, and their Caesar Rodney Golden Ale. Their taproom is warm and friendly, making it the perfect place to hang out with friends and have a good time. 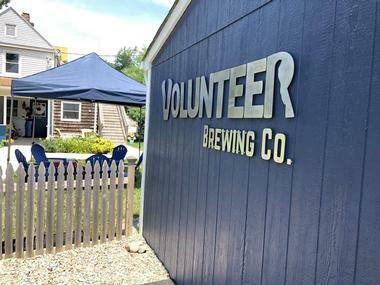 Volunteer Brewing Company may be the smallest brewery in Delaware, but that doesn’t mean it isn’t big on taste. 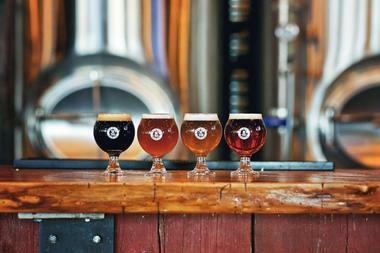 They brew with a small, two-barrel system, which means their beers are constantly rotating. Their superior, small-batch, craft-brewed ales are making a big impact on the community and not just with their delicious flavors, as the employees are extremely focused on volunteer opportunities and giving back to the community – hence their name. 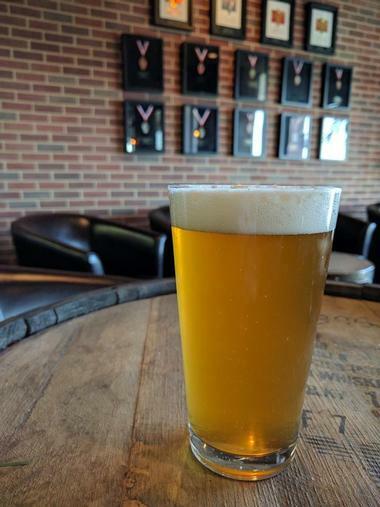 At any given time, you’ll be able to drink brews on tap such as Dead Poets IPA, Belgian Wit, Philly Special, and their Orange Blossom Honey Wheat. 3rd Wave Brewing Co., Photo: 3rd Wave Brewing Co.
Dewey Beer Co., Photo: Dewey Beer Co.
Twin Lakes Brewing Co., Photo: Twin Lakes Brewing Co.